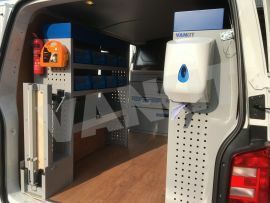 Mercedes Sprinter MWB Service Van. 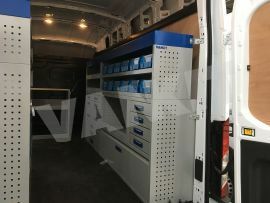 Installed into 3 Welders Vans for a national plant company. 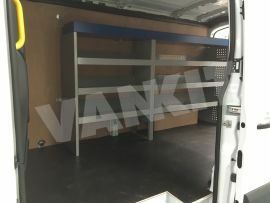 Simple Van Shelves fitted to Nearside & Offside of this LWB Transit. 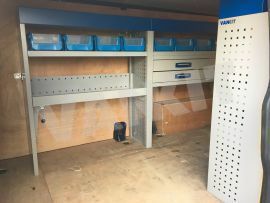 Installed for a plant engineer allowing space for a night heater to be fitted behind the bulkhead. 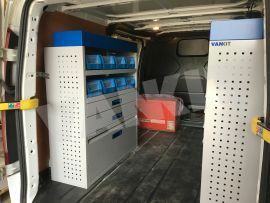 Popular Van Kits installed to both sides of this van for a Concrete Pumping Engineer. 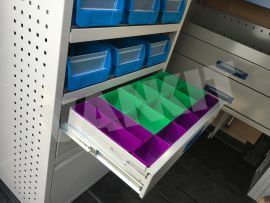 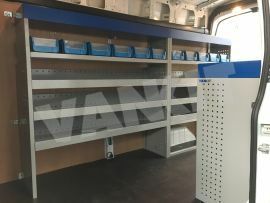 Plant Hire Service Engineers Van Racking System, utilising the every area of the van. 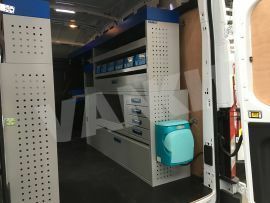 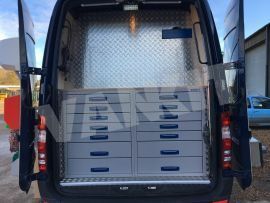 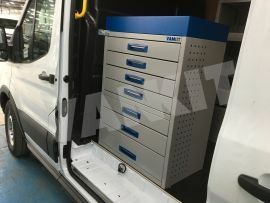 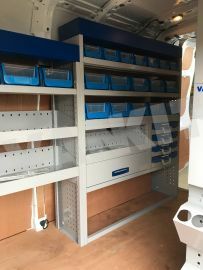 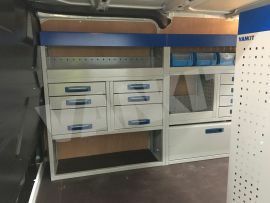 Complete Vankit fit out for this fleet of service engineers.